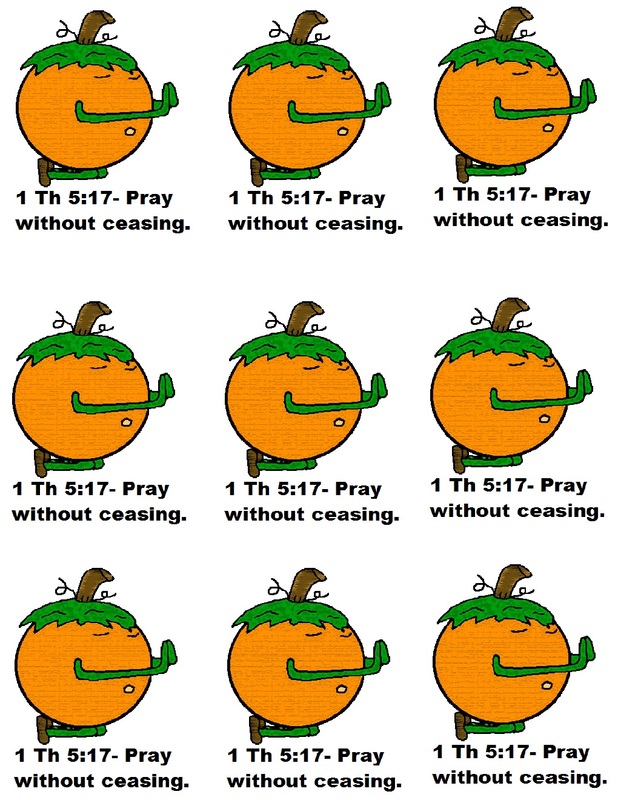 1 Thess 5:17- Pray without ceasing. Bake and ice your cupcakes. I used chocolate. Then add 1 candy corn pumpkin in the middle of the cupcake. Then add 4 small candy corn around the pumpkin. Print the pumpkin template out and laminate. Use scissors that cut with a design or you can just use regular scissors if you don't have any. Tape a colored pick to the back. You could also use toothpicks or popsicle sticks. Stick down in the cupcake. Take these for a Fall festival at your Church or make them up for fun just for the kids!